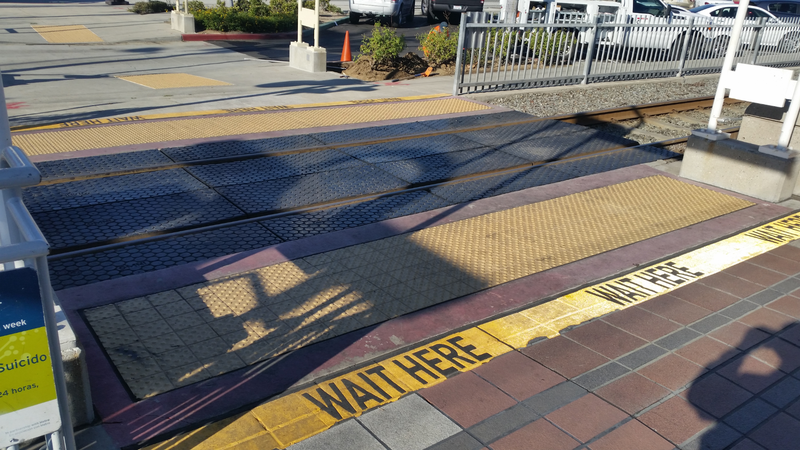 New gates designed to slow and/or stop pedestrians from crossing the tracks at the Blue Line’s Wardlow Station in Long Beach. Photo by Steve Hymon/Metro. Before the improvements at Wardlow Station. Photo by Alexia Hinton/Metro. And after the improvements at Wardlow. Photo by Alexia Hinton/Metro. As part of its ongoing commitment to safety, Metro today unveiled safety improvements to 27 intersections along the Metro Blue Line. 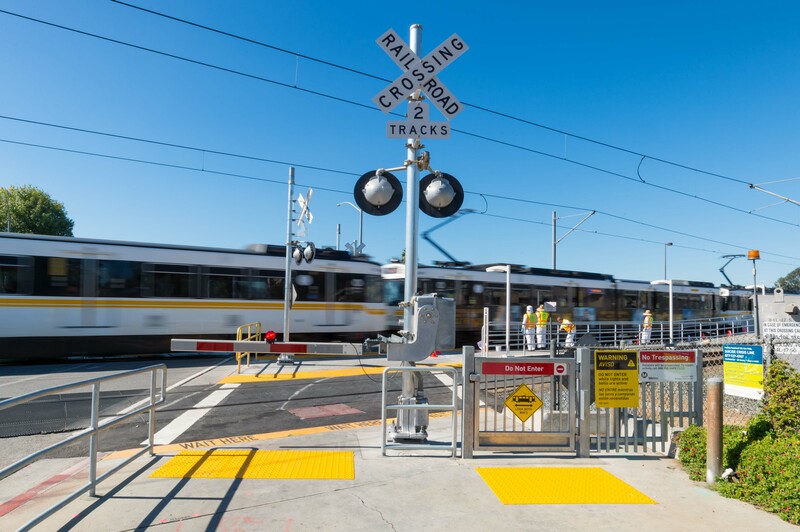 The intersections along Los Angeles County’s first and most heavily used light rail line will be receiving new physical barriers to improve pedestrian safety, new and wider walkways and improved signage at a cost of $30 million. 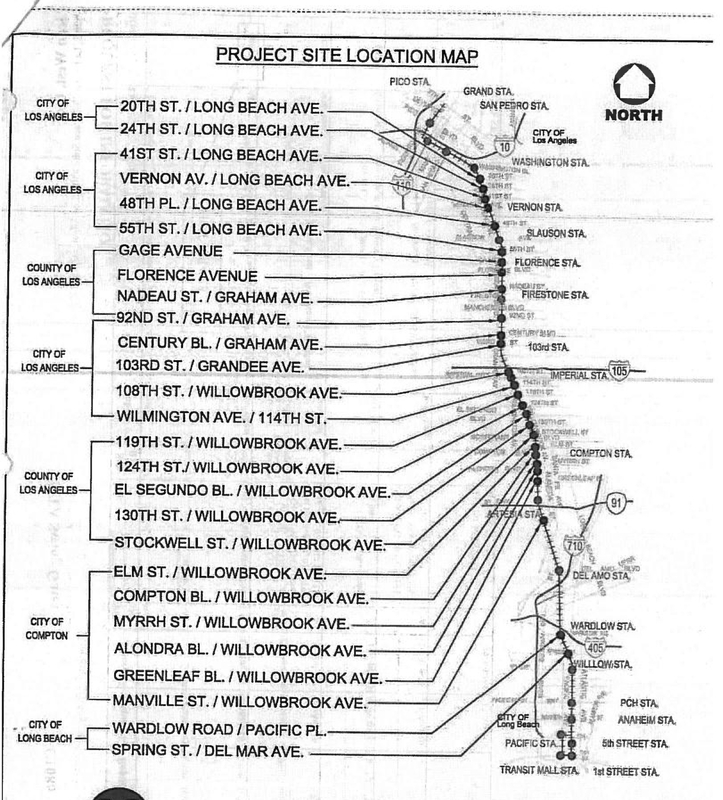 A map showing intersections where upgrades will be made. Work is underway. Click above for larger version. The most visible improvements will be pedestrian gates and swing gates at intersections, new walkways poured with concrete instead of asphalt and accessibility improvements for persons with disabilities. 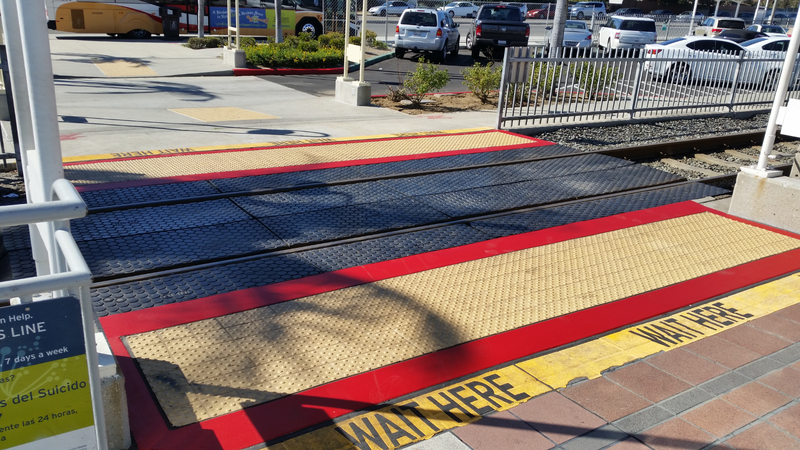 In addition to the newest safety features, in January 2014, Metro began implementing an extensive overhaul of the Metro Blue Line to replace power stations, overhead power lines, tracks and rail cars and make improvements to station platforms. Work is scheduled to continue through fiscal year 2019. The Metro Blue Line has about 81,000 weekday boardings at 22 stations between downtown Long Beach and 7th Street/Metro Center in downtown Los Angeles, where riders can transfer to the Red/Purple Line subway. The Metro Blue Line serves Los Angeles Trade Technical College, South Los Angeles — including the famed Watts Towers — and Compton. Blue Line riders can transfer to the Metro Green Line at the Willowbrook station for east-west service to Norwalk and Redondo Beach. 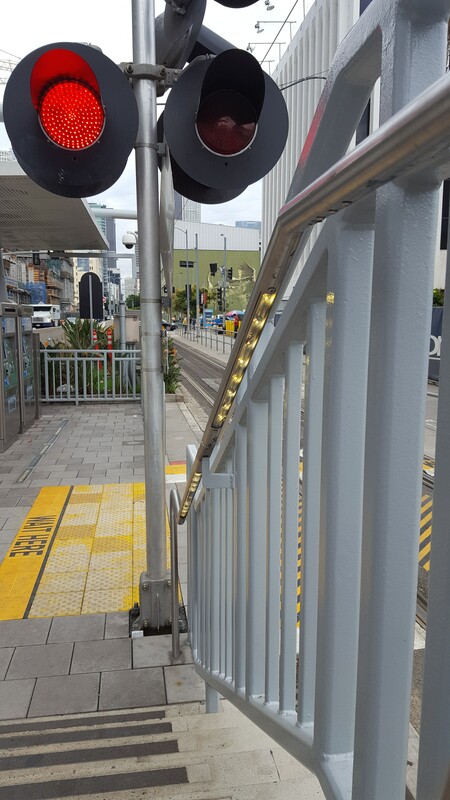 New LED lights on the stairs at Pico Station to warn riders that a train is approaching. Photo by Anna Chen/Metro. How We Roll, Nov. 3: wait until next year ends in 151 days! Any plans to separate traffic on Flower and Washington Blvds? What about signal pre-emption. It’s a discrase that a train carrying 250+ people has to studder stop + go for the last mile into downtown to let 2-3 cars pass. Ask LADOT. It’s their 1950s thinking that keeps this situation happening every day.